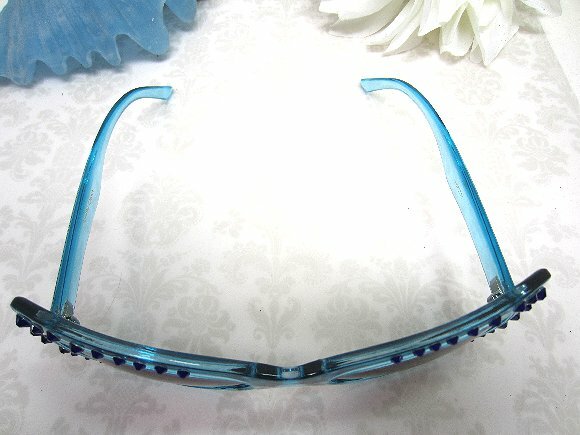 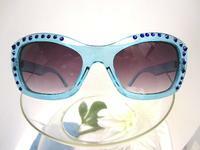 Wow everyone on the beach when you wear these retro style transparent teal sunglasses. 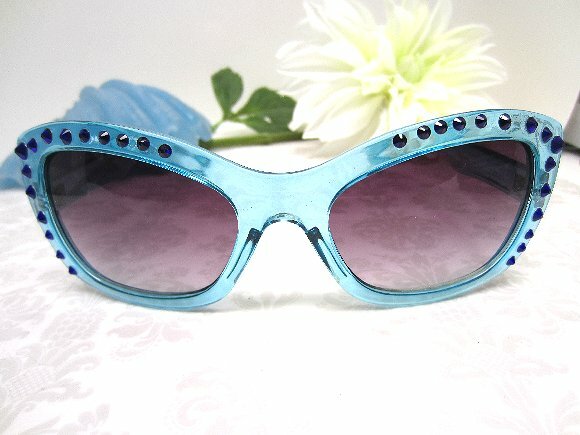 I?ve used hard-to-find cobalt blue rhinestones to bling these babies to the max. 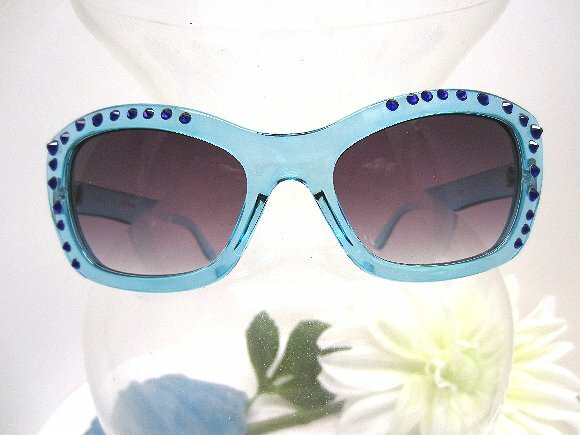 For the very best in beach bling, look no further than SPARKLE PLENTY.